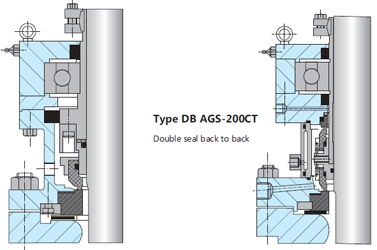 Type DB-AGS-100CT are preset factory assembled cartridge seals for use in Agitators, Mixers and Reactor Vessels. The seal construction varies slightly for top entry vessels, side entry vessels and bottom entry vessels. 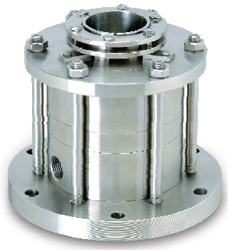 The seals are designed to the shortest shaft length and the bearings are located as close to the vessel body to minimize the deflection. General Chemicals and its vapours. Light Hydrocarbons and its vapours. Daybreak Seal designs and installations for mixers, agitators and vessels vary according to their position on the vessel, that is, whether the rotating shaft is top, side or bottom entry. Also, the material of the vessel, whether it is steel or glass lined, has a significant influence on the seal design. Daybreak has a complete range of products for all vessel configurations and relevant design standards. Special designs are also made for specific customer requirements. 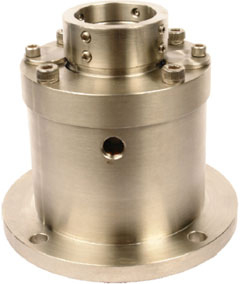 Seals for top entry vessels are expected to retain the gas or vapour above the fluid in the vessel. To do this, double seals are normally recommended, although for very light duties a single seal can be used. Unlubricated or dry running seals are being increasingly applied because they avoid the need for a seal lubricating system. In a side entry vessel the seal is normally fully immersed in the liquid in the vessel. 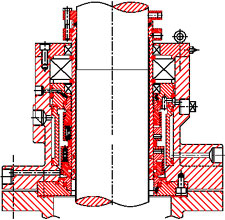 Therefore, the seal arrangements tend to be similar to conventional pump seal installations. The seal in a bottom entry vessel is also fully immersed in the liquid, but unlike the side entry arrangement, careful consideration has to be given to the possible accumulation of solids and other debris around the seal. Vessels are often designed with the shortest possible shaft length to reduce deflection and production costs. Normally, this requires the bearing to be positioned as close as possible to the vessel body, which has led to the development of short axial length seal designs, and installations which incorporate the bearing and seal into one integrated unit. GMP Standard Seals are new development corresponding to the requirement of pharmaceutical industries. These seals are strictly made from high grade of stainless steel. All components are precision machined with shining buff polished to avoid any contamination.